This game slipped well under my radar for the better part of 20 years. In my youth, I was too busy saving Hyrule, or saving the Lylat System, or saving the Princess….I had no time to worry about Earth. Yet during a crazy game haul a few years ago, a new game that I’d never heard of entered into my collection – Body Harvest. I had reached out on Twitter to see if anyone had heard of this game, or better, had some feedback on it. Kevin (BuriedOnMars) praised it for being an underrated N64 gem – and that was all the push I needed to get started. That was July 2015. Over 2 years later, I’ve finally completed it! The storyline was intriguing for a third-person shooter of its time. Aliens appeared on Earth to finally destroy the human race, and following Adam Drake, the orange-suited silent protagonist and his sidekick, Daisy, it was up to you to travel back in time to 1916 (Greece), 1941 (Java), 1966 (America) and 1991 (Russia) to stop the previous attacks and rewrite history. Extinction, time-travel, globetrotting; a great trifecta of story mechanics which worked well together. The story was complimented with sandbox-style gameplay; a predecessor to games like Grand Theft Auto III. Quite literally in fact. Members of this development team were actually the ones who went on to create Rockstar’s flagship title. In Body Harvest you were able to run, swim, ride and fly your way around huge maps; interacting with NPCs, battling and solving puzzles. In fact, the maps were far too big to explore on foot, so vehicles helped speed things up. Adam can operate cars, trucks, motorcycles, helicopters, airplanes, boats and even tanks to get around these wide-open worlds! The texture-mapping limitations of the N64 definitely hindered what could’ve have been a much more rewarding experience, but exploration was still enjoyable. Daisy provided clues on where to go from the Alpha Command Module which aided what otherwise may have been a frustrating ordeal. 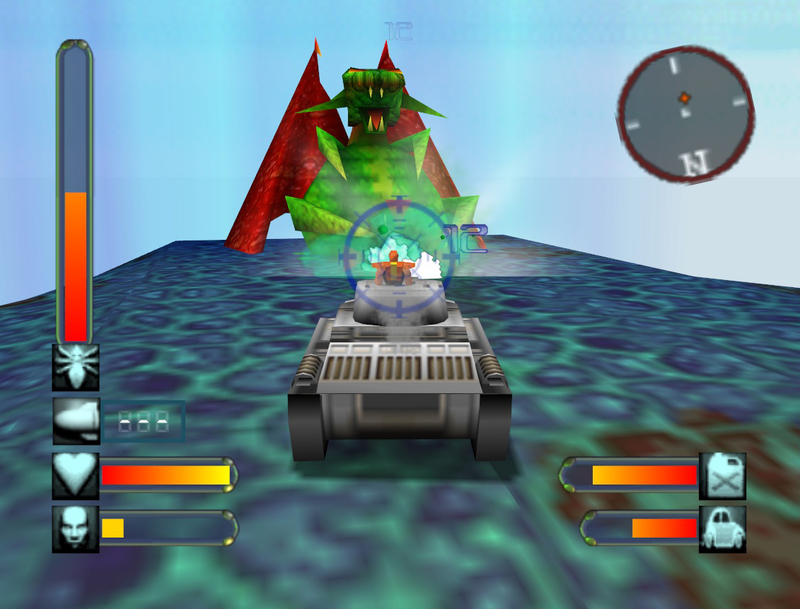 Battles with the insect-like species were kept entertaining through the game’s dynamic roster of aliens, an impressive arsenal of weaponry (with auto-aim! ), and sub-task of saving the human population. There’s not much to say about the music or sound-effects of this game – as it suffered from the usual N64 issues. Large battle scenes were riddled with alien screams and projectile explosions to the point of needing to turn my TV on mute in order to get through the section. Having said all that, the background music, when devoid of any bleeps and bloops, was atmospheric enough to listen to during the general open-world exploration. This credit goes out to both Stuart Ross and Allan Walker who composed the soundtrack. Overall Body Harvest was a decent, albeit long, experience on the N64. It truly felt like a predecessor to the open-world games we know and love today. I can appreciate the love/hate dichotomy that plagues those that have played the game and can understand it being overshadowed by some of the greats. But if you get a chance – forget about the Mushroom Kingdom for a bit and come on back to Earth. Also, be sure to head on over to the Cartridge Club forums and share your thoughts in the Body Harvest thread.